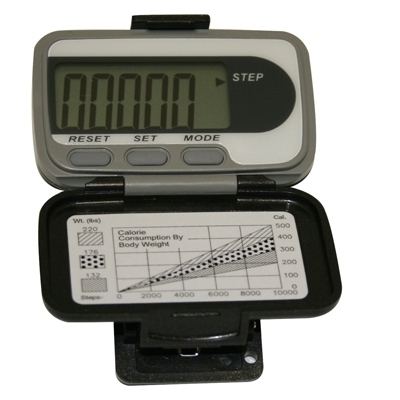 Pedometer is easily warn by user and measures steps taken and / or distance walked/run. 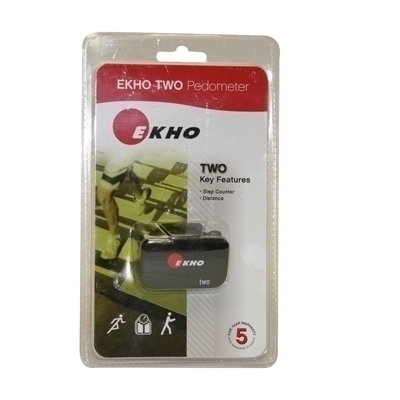 Ekho Pedometer has large digital display. Hinged protective case. Loss prevention strap. 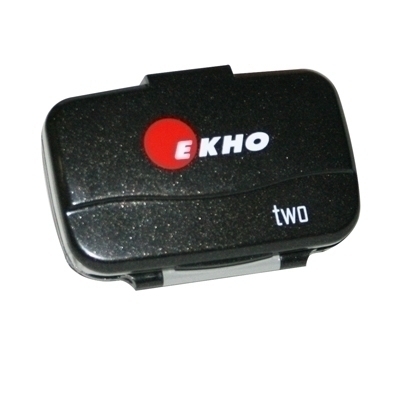 User changeable batteries. Measures steps taken and distance walked/runs.